Costco’s business model of membership fees, low prices, and high degree of vertical integration will help it defend against the e-commerce giant that’s now buying Whole Foods, but the competitive pressure will increase. Wall Street is feeling gloomy about Costco’s prospects following last Friday’s bombshell announcement that Amazon was buying Whole Foods, but can the warehouse giant’s $4.99 rotisserie chicken and $1.50 hot dog meal save it? Costco’s shares have declined nearly 9 percent since news of Amazon’s deal broke. 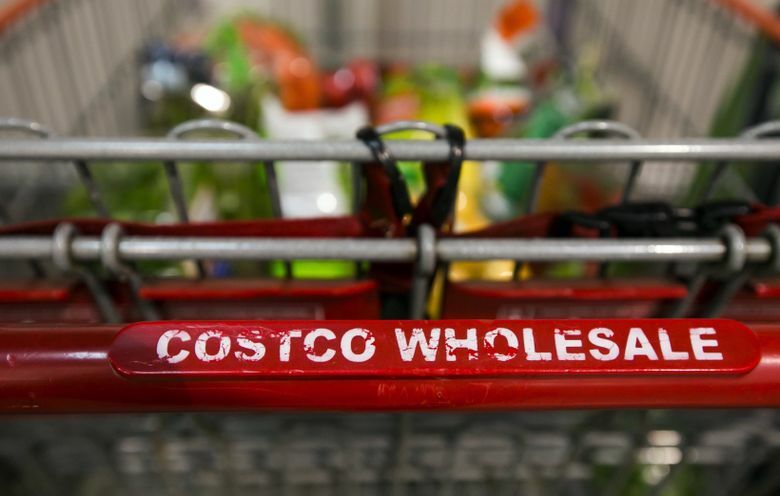 And at least two major Wall Street firms have downgraded Costco’s shares. Deutsche Bank on Monday lowered its rating from “buy” to “hold,” saying “the pipeline of positive catalysts has played out and the competitive backdrop is intensifying” as both Amazon and Wal-Mart press their online and in-store efforts. Amazon’s Whole Foods acquisition “represents a game changer with [Costco’s] competitive moat in grocery under greater threat while its digital platform lags peers, putting membership renewal at risk for decline,” a group of Deutsche Bank analysts led by Paul Trussell said in a research note. But at least one Wall Street firm believes Costco’s business model allows it to defend against Amazon, for now. That business model includes membership fees that generate enough money for Costco to offer lower prices, and an unusually high degree of vertical integration — owning or having strong relationships with farms and manufacturing facilities. Such integration includes Costco working with farmers to help them buy land and equipment to grow organics, building its own poultry farm, owning and operating its own beef plant and hot dog factory, and having its own optical grinding factory. Costco has been making improvements to its e-commerce capabilities, including making search easier and increasing the number of fulfillment centers. But online sales represent just 4 percent of the company’s revenues, though that’s growing. Costco executives have acknowledged the company is a tortoise, not a hare, in the online arena, and that its focus is still on getting customers into its brick-and-mortar stores. Cowen’s research indicates 64 percent of Costco members were also Amazon Prime members as of May, the investment firm said. But Costco is unlikely to put in a competing bid for Whole Foods in order to slow the Amazon juggernaut. But another hometown retailer might want to look over its shoulders: Nordstrom, whose namesake family said earlier this month that it was looking to take the company private. Amazon has increasingly made inroads into fashion and is now the nation’s No. 2 apparel retailer. For Amazon, “retailers with good customer focused brand equity, curation and superior brand portfolios, and depressed valuations could be takeover candidates such as JWN [Nordstrom] & URBN [Urban Outfitters],” according to Cowen.